Life Insurance products are products that protect your income and/or lifestyle. In some cases, such policies also protect your family against the eventuality of premature death. They may also be utilised to provide substantial proceeds once you reach retirement age and are no longer working. If you have dependants or other people with whom you share your life, life insurance can play a vital and valuable role at virtually every stage of your life. It is not just for the young, nor is it only for parents or guardians of young children. Why buy life insurance? The main reason for insuring your life is to replace an income you are generating that someone else relies on. If an earner passes away, life insurance can enable the survivors to go on without having to make financial sacrifices. Life insurance can also pay for one-time costs that are connected with death, such as funeral and burial costs, and outstanding debts (such as home loans or final medical expenses not covered by health insurance). It takes careful planning to choose the right life insurance policy for you, your family or business. It is also important to review regularly your life insurance needs to make sure that they keep up with your changing personal and economic circumstances. Life Insurance as a form of saving and protection - The long-term nature of life insurance allows you to make clear plans for long-term saving. Mist life insurance companies have long and wide experience of successful investment as well as providing protection in the event of your early demise. Endowment Insurance - This both protects your family and creates savings for the future. Although more expansive than protection insurance alone, it relieves the financial impact on the family and dependants in the case that the earner dies whilst simultaneously building up his savings. Endowment policies can be issued on a with-profits or unit-linked basis (see below). You pay premiums for an agreed number of years say 10, 15 or 20. At the end of this time you receive a lump sum, which is either the sum insured together with bonuses in the case of a with-profits policy, or - with unit-linked endowments - the lump sum is the return of all money invested together with the investment growth. If you die before the maturity date the insurance company will pay the sum insured, or the value of the policy at that time if greater. With-profits - A with-profits fund is a pooled investment, where the money you pay in (the premium) is pooled with other premiums and invested by the insurance company in a very wide range of assets. These will include stocks and shares, bonds, government bonds, property and cash. The investment return your policy pays is smoothed so that you are sheltered from the more extreme variations of direct investment. The investment growth achieved by the with-profits fund is paid to you as regular and final bonuses and added to your policy. Once bonuses have been added, they cannot usually be taken away. Growth and bonuses cannot be guaranteed in advance but it is likely that bonuses will add significantly to your sum insured, bringing you a good investment return over the years of your policy. The with-profits endowment policy is a means of regular long-term saving with a minimum of risk and the potential for a good return. It smoothens out fluctuations in the value of investments, although there is no guarantee of the final (maturity) value of the policy. Unit-Linked Policies - With a unit-linked policy there is no guaranteed sum insured payable except in the case of death. The insurance company invests your premiums in specific funds chosen by you. The amount payable under your policy depends on the value of the investments in those funds at the time your policy matures. Insurance companies offer a range of different funds to which your policy can be linked. You should ask for an explanation of the different funds so that you understand the different risks and opportunities. There is no guarantee of the value of the sum to be paid on maturity. The potential benefit from a unit-linked policy can be greater than from a with-profits policy. But of course there is also the risk that the eventual benefit could be lower. The value of investments can fall as well as rise. Critical Illness – This provides cover against the risk of you developing a serious health condition such as a heart attack or cancer. If you develop one of the illnesses listed in the policy, a lump sum (or occasionally a regular income for a set period) will be paid. This type of insurance can be bought on its own or as an addition to whole life, endowment or term insurance. Future changes in legislation and tax practice could affect life assurance investment vehicles. Therefore you should seek professional tax advice if you wish to determine your exact tax status. A life insurance policy is a long-term commitment. It is not designed for you to cash in early. Insurance companies and other financial advisers can help you decide what products are suitable for you. Never surrender a life insurance policy without taking expert advice. When you have decided on a policy you will have to complete and sign a proposal form. This form may ask about such matters as your age, occupation and health. You must answer all questions truthfully. If you fail to do so, it can, in some circumstances, mean that your policy will not pay out. Every effort is made to ensure your application for life insurance is made in the full knowledge of all its terms and conditions, but most policies have a “cooling off” period of thirty days. During this time you can tell the insurer you do not want the policy and receive a refund of any initial premiums you have already paid. Some exceptions apply. For example in the case of unit-linked policies it may not be the full amount you originally paid if the value of the units has decreased since purchase; and the cooling off period may not be availed of in the case of contracts of term insurance which you are required to take out as a condition to obtain credit or loan facilities from a bank. Health Insurance is most appropriate if you want your health expenses covered at a reasonable cost. Private health insurance is designed to cover the costs of private medical treatment for what are commonly known as acute conditions. Most insurers define an acute condition as a disease, illness or injury that is likely to respond quickly to treatment which aims to return you to the state of health you were in immediately before suffering the disease, illness or injury, or which leads to your full recovery. Health Insurance allows you to choose medical treatment where and when you like and at the comfort of private health facilities, depending on the insurance plan you choose. As a private patient you can often choose when treatment will take place, the specialist who treats you and the hospital. What kinds of health insurance are there? Health Insurers provide a variety of products to cover for an array of medical, surgical and hospital expenses. If you are thinking of purchasing or upgrading your present insurance arrangement it is crucial that you understand your health insurance choices and pick the insurance that is best for you and your family. What does my cover not include? Remember, private medical insurance is designed to cover treatment for curable, short-term illness or injury (commonly known as acute conditions). Some treatments are never covered and these are common to most schemes. As well as those listed above as ‘Usually not included’, there are a few other medical conditions which insurers do not cover. These generally include HIV/AIDS, self-inflicted injuries, alcoholism or drug abuse, cosmetic treatment and out-patient drugs and dressings. A list of exclusions is detailed in the insurer’s Policy Terms. Each insurer will give you a policy summary or ‘key facts’ document and a full policy document. The policy summary or ‘key facts’ document will set out any significant limits of the policy. Whichever scheme you choose, it is likely that your premiums will rise. This is generally caused by spiralling healthcare costs. Moreover, the sophistication and cost of treatments to improve quality of life is increasing steadily. Most private medical insurance policies aim to cover these treatments as they become established medical practice and available privately. Likewise, the sophistication and complexity of tests used to diagnose illness and injury are also increasing. Such tests are becoming far more widely available in private hospitals. Apart from emergency admissions to hospitals, all medical treatment has to start with a referral by your General Practitioner to an appropriate specialist. Before you receive any treatment privately, you should call your insurance company to check that you are covered for the treatment you will receive. In fact, most insurers insist that you do this.Your GP and your specialist will probably need to fill in and sign your claim form.Fees charged for filling a claim form are not covered by insurance. Your specialist may recommend test, admission to a hospital as in-patient, or day-patient treatment.Some hospitals and specialists have their bills paid directly by the patient. Others will send the bills to your insurer, on condition that they have obtained pre-authorisation prior to treatment. Your insurer will give you all the guidance you need, confirm what your cover includes and, if necessary, send you a claim form.Stay in contact with your insurer who will confirm whether any treatment you plan to receive is within your cover.Your insurer will tell you how they pay claims. Remember, if you have chosen to pay an excess, you will have to make a payment. What if I want to change to a new insurer? You may change insurers. However, it is important to remember that your new insurer may not cover any previous, or existing medical conditions, which your current insurer may cover. The level of cover on any new policy may vary from that available with your previous insurer. It is best to check with your new insurer, or whoever is selling or arranging a new policy for you, how the change may affect your cover. What does home insurance do? There are two types of household insurance policies. 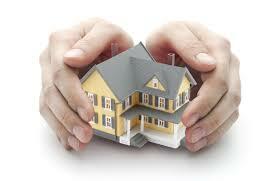 a) Buildings insurance protects you against damage to the structure of your home including fixtures and fittings. b) Home contents insurance protects you against damage or loss of the possessions that you would normally take with you if you moved. Both policies cover you against a stated list of perils for example: fire, theft, flood and storm. Moreover, such policies also cover your legal liabilities as a homeowner and occupier. What factors should I consider before buying household insurance? Start by reading the policy terms and conditions to confirm that the cover it provides is to your satisfaction. To note any significant exclusions check your Basic Cover and clarify all details with your insurer. Additional coverage may include accidental damage, frozen foods and personal accident cover. Furthermore check out the exclusions and excesses. The exclusions explain what your policy does not cover whereas the excess stipulates the amount you will be required to pay in the event you make a claim. Excesses are applied to a range of claims. Check these when you buy your policy and at each renewal date. Extensions of Cover - some insurers will widen your policy to cover "accidental damage" for an additional premium. Under a conventional contents policy ("indemnity" or "new for old") your persian carpet, for example, would be insured if it were burned, damaged by leaking water or ruined by malicious vandals. It would not be covered if you spilt a bottle of wine over it. This is known as accidental damage and can be a valuable extra protection. "All Risks" is cover for items which you regularly take out of the house such as jewellery, digital cameras and other valuable items. These can be listed in the policy under an "All Risks" section. Again, an extra premium is payable. This would ensure that such items are covered also when used outside your home, even when you are abroad. 1. When your policy comes up for renewal - Take the time to review your coverage and call your insurance advisor with any questions/concerns that you may have. Regularly review the sum insured for building and ensure that it adequately reflects the full costs of rebuilding your home, including professional fees and site clearance. You are also required to advise your insurer of any other material facts / changes to the risk. 2. Major purchases or alterations/improvements to your home - If you have made any major purchases, make sure that you have adequate coverage. And, don’t forget about gifts. If you have received a diamond engagement ring or if a member of your family has bought you expensive artwork, talk to your insurer. If you have made major improvements to your home, or added new structures to your home speak to your insurer. Keep receipts and records in case you need to forward copies to your company. 3. You have made your home safer - If you have installed a fire/burglar alarm system make sure that your insurance company knows about these improvements since this may entitle you to some benefit. 4. Major lifestyle changes – Marriage, separations, or adult children who move back into the family home, can all affect your homeowners insurance. When people move in or move out, they take their belongings with them. And you may need additional coverage if there is a sizable increase in the value of the belongings in your home. Starting a home-based business can also trigger changes in your coverage. You will need to get additional coverage for business liability and equipment.  If you have suffered from theft, malicious damage or vandalism, report this to the police immediately.  If you have lost credit cards or cheque books, inform your bank immediately, a delay of even a few hours could prove expensive for you.  All insurance policies set out clearly the risks they do and do not cover. Read your policy carefully and make sure that the loss you have suffered is covered by your policy.  Decide which policy – buildings, contents or both - to claim under. If you are not sure, call your insurer for advice.  Fill a claim form.  If you are entitled to a new replacement (or new for old) than you can claim for the full cost of repairing or replacing it with a new item if the object has been stolen or destroyed.  As is more common if you have an indemnity policy then you must deduct an amount to represent wear and tear.  If you find it difficult to get estimates quickly (for example, if damage is widespread in your locality as a result of flooding), send the claim form to the insurance company straight away and tell them you will send estimates as soon as possible.  If temporary repairs have to be done to prevent further damage, arrange for the work to be done and keep bills. The cost may form part of your overall claim.  It is important to keep damaged items because the insurance company may wish to see them. o Send a loss adjuster to handle the whole claim. The surveyor is employed by the insurance company and will arrange with you the basis on which your claim will be settled. Motor insurance protects motorists against liability in the event of accidents they may cause. The Motor Vehicles Insurance (Third-party risks) Ordinance (Chapter 104 ) requires all motorists to be insured against their liability for injuries to others (including passengers) and for damage to other people’s property resulting from use of a vehicle on a road or other public place. It is therefore an offence to drive your car or allow others to drive it without insurance. Different types of cover are available. This can range from third party cover which protects individuals against liability should they injure a third party or cause damage to a third party’s property, but does not provide any cover for the individual’s own vehicle or property. Or it can go beyond this basic protection offer cover for accidental damage, theft, fire damage as well as liability towards third parties.This is the case with comprehensive cover.  The Certificate of Insurance - this is evidence of insurance as required by law.  The Policy Document – this sets out in full the terms and conditions of your policy, and will include a schedule setting out your individual cover arrangements. You should read your policy carefully to ensure it gives you the level of cover you are seeking. If you are unsure about what the policy does or does not cover then ask your insurer to explain. What is the cover available?  Loss of or damage to personal effects in the car, up to a stated limit.  Liability arising from the use of a caravan or trailer, while attached to the car. Third Party Fire and Theft Policies are generally the same as Third Party policies, but with protection added to cover losses in the event of fire or theft of your vehicle. Is there anything I should ask or think about when buying motor insurance? Policy Limits and/or Excesses - Make sure you are aware of any applicable excess and/or cover limits your policy may include. An excess is the first portion of a claim you will be responsible for paying. Most insurance policies also have maximum limits the insurer will pay for a claim. You need to check you would be able to afford the excess in the event of a claim, and that the maximum sum insured would be sufficient to cover your loss. Insured Drivers - The policy might only cover driving by yourself or specified people, or it might allow driving by any authorised person with your permission, possibly over a certain age limit. Your insurers will want to know about anyone who is likely to drive - particularly their age, experience, claims and driving record and occupation. Vehicle use - Your policy and certificate set out the uses for which your car is insured. For example, if you or any authorised driver wants to use your car for business purposes, make sure that your policy covers this. No Claims Discount - Policyholders with a claim free record normally qualify for a premium discount. Scales vary amongst motor insurers but can range from 15% for one claim free year up to 65% after four or five years. The discounts allowed for private cars are usually considerably higher than those allowed for commercial vehicles. Commercial vehicles insured on a “fleet” basis are effectively rated on the basis of the claims experience of each risk, and the question of a no claims discount (NCD) does not normally arise. Certain companies also offer to protect your No Claims Discount entitlement so that a number of claims are allowed without affecting the discount. You may have to pay an additional premium in order to buy such protection. Make sure that you have the car owner’s permission to drive the vehicle and that the owner has extended his insurance to cover you (e.g. by adding you as a driver under his policy). 1. Your driving record. The better your record, the lower your premium. If you have had accidents or serious traffic violations, you will pay more than if you have a clean driving record. You may also pay more if you have not been insured for a number of years. 2. Your age. In general, mature drivers have fewer accidents than less experienced drivers, particularly those under 21. So insurers generally charge more for young people below the age of 21. 3. The car you drive. Some cars cost more to insure than others. Variables include the likelihood of theft, the cost of the car, the cost of repairs, and the overall safety record of the car. Other factors also include any other drivers, where it is kept, the uses to which it is put, and the type of cover required. Changing Your Car - You must tell your insurers if you change your car. A premium adjustment may be necessary and you will need a new certificate. Motoring Abroad – Maltese motor policies provide the minimum cover required by law in other European Union countries or the minimum cover required under the Maltese law if that is greater. This cover does not automatically include theft or damage to your car. Look After Your Car - All insurance policies require you to make sure your car is in a roadworthy condition. If you do not, you may find that your claim will not be paid. Remember - not only is it an offence under the Motor Vehicles Insurance (Third-Party Risks) Ordinance to make a false statement or withhold information for the purposes of obtaining a certificate of motor insurance, but it may also invalidate your policy. At the scene of the accident -If you are involved in a front-to-rear accident, fill in the front to rear form. Although each driver is supposed to have a copy of this form in his car, only one Statement of Facts is to be used, and it does not matter who’s form is completed. When the front-to-rear accident involves more than two vehicles, a second form should be used. It is also important that you get details of all witnesses before they leave. When you are satisfied with the accuracy of the statement, sign it and have it signed by the other driver. Keep one copy and hand the other to the other driver. ...Fully complete the Motor Accident Report on the back of your version of the Statement of Facts. This is your own report to your insurers, and in case of need, your insurance company will help you fill in this report. ...Immediately inform your insurer about the accident and deliver this form to them which includes (i) the Statement of Facts and (ii) Motor Accident Report. In the event of other accidents, not involving bodily injury, call for the Warden’s assistance on 21320202. If the accident has injured someone, or damaged property owned by Government, then you should call the Police on 112. At the scene of the accident do not discuss whose fault the accident seems to have been. If you do, you could create problems for you and your insurers in the handling of your claim. It is often not straightforward to identify fault, especially at the scene since people may be in shock about what has just happened. Leave that to the insurers or the Authorities whose job it is to ascertain responsibility. 1. Call your insurer as soon as possible, regardless of who is at fault. Find out whether you are covered for this loss. Even if the accident appears minor, it is important that you let your insurance company know about the incident. 2. Ask your company representative how to proceed and what forms or documents are needed to support your claim. 3. Supply the information your insurer requests. Fill out the claim form carefully. Keep good records. Get the names and phone numbers of everyone you speak with and copies of any bills related to the accident. You may be reluctant to file a claim because you fear that your premium will go up or your insurance will be cancelled. In general, an insurer will increase your premium by specific percentages for each claim made against your policy. Your company may also decide not to renew your policy if your driving record gets markedly worse or you have several accidents. Different insurers have different rules about what constitutes an unacceptably bad driving record. If you have an accident but do not report it to your insurer, you are taking a risk, even if the damage seems minor. If the other driver sues you weeks or months later, your failure to report the accident might cause your insurer to refuse to honour the policy. And even if they do honour the policy, the delay will certainly make it harder for the insurer to gather evidence to represent you. If you have a comprehensive policy - Ask your insurer for advice. Your insurer may recommend a particular garage. As well as speeding up the repair considerably, this could allow you to benefit from Work Guarantees which your insurer has secured in advance with certain repairers. Report the theft to the police immediately and then inform your insurer. Be prepared to wait a while in case your car is recovered or found abandoned and returned to you. Before leaving on vacation, make sure you have adequate insurance. Vacations can sometimes cost a lot so it is important to have the proper insurance protection in case the cruise or tour operator goes bankrupt or you need to cancel the trip due to illness or other unforeseen events. This would reimburse you if you have to cancel the trip due to sickness, a death in the family or another calamity listed in the policy. This would provide coverage if your personal belongings are lost, stolen or damaged during the trip. Before purchasing this type of coverage, find out how much insurance the airline or trip operator provides for your belongings. This provides insurance and medical assistance for travellers. It would cover you if you had to be airlifted off a mountain due to a skiing or hiking accident, or if you had to stay for a prolonged period of time in a foreign hospital. It would also provide coverage if you got seriously sick or were injured and needed to be flown home. This provides a variety of coverage if you or a family member die on the trip. If you have a good life insurance plan or made other financial provisions for your loved ones, this may be duplicate insurance. Is there anything I should ask or think about when buying travel insurance? You should read the document carefully. It gives you full details of what is and is not covered and the conditions of the cover. Cover will vary from policy to policy, and insurer to insurer. Conditions and exclusions will apply to individual sections of your policy, while general exclusions, conditions and warranties will apply to the whole of your policy. Your policy contains conditions about the health of the people travelling and of other people upon whose health the trip may depend. If you are going to take part in activities that present a risk of injury, including skiing or water sports, check that your policy covers you. This may not always be the case. Generally these claims are paid based on the value of the goods at the time you lose them, and not on a ‘new for old’ or replacement cost basis. Your policy will set out what proof the insurer needs to support a claim. Most sections of your policy have limits on the amount the insurer will pay under that section. Some sections also include other specific limits, for example for any one item or for valuables in total. You are advised to check your policy if you intend taking expensive items with you. Under most sections of the policy, claims will be subject to an excess. This means that you will be responsible for paying the first part of each claim. The amount you have to pay is the excess. If you would like more information, ask the person selling the travel insurance, particularly if you feel the insurance may not meet your needs. Marine insurance covers damage to the hull, along with the liability for property damage, injury and death to passengers and others. Indemnities are also provided for the goods that may be lost or damaged whilst in transit. Liability insurance covers your legal duty to pay compensation to others following events for which you are responsible. For example liability insurance is mandatory in motor insurance as it is a legal requirement to insure your vehicle. As with all insurance the precise cover depends on the terms and conditions of your policy. Employers’ Liability - enables businesses to meet the costs of compensation to employees who are injured or made ill at work through the fault of the employer. Employees injured due to an employer's negligence can obtain compensation even if the business is in financial difficulties. Public Liability - Public liability insurance covers your legal liability to pay damages to members of the public for death, bodily injury or damage to their property which occurs as a result of business activities. For example, you might need Public Liability cover if your work involves any interaction with the general public. Premiums depend on the type of business you run, your turnover and the number of employees you have. When deciding on how much cover to buy, you should carefully consider the maximum claim that could be made against you. However, be aware that a limit of indemnity will apply to claims arising from a single incident. Product Liability - If you make, repair or sell products, you could be held legally liable for damage or injury arising from defects in their design or manufacture even if you have not been negligent. If you import a product for resale and something goes wromg with it, claimants are entitled to try to claim from you even if you did not manufacture the product. Products must be "fit for purpose", and under the Consumer Affairs Act (Chapter 378) you are legally responsible for any damage or injury that a product you supply may cause. The product liability insurance covers you against any compensation awarded as a result of damage or injury caused by your product, up to specified maximum limits. Product liability covers you against unforeseen circumstances. If you simply make an inferior product, then you may not be able to make a claim. Bad workmanship is not covered either. The success of a business, whether it is a tiny enterprise run out of a basement or a large corporation, is largely dependent on hard work and ingenuity. However, no matter how industrious you are, one disaster can wipe out all your profits and even destroy your business. The key to making sure that all the effort and money you have invested in a business does not disappear when a disaster strikes is to protect it with the appropriate insurance. Liability insurance is designed to pay any compensation and legal costs that occur if an employer is found to be at fault. If you employ anyone it is most likely that you will need to have employers' liability insurance. Buildings and contents can be insured against fire, lightning, explosion of gas and boilers used for domestic purposes without the addition of "special perils" such as explosion, riot, malicious damage, storm, flood, impact by motor vehicles, escape of water from tanks or pipes and sprinkler leakage. "All risks" insurance gives wider cover including any accidental damage or loss not specifically excluded. However "all risks" will not cover wear and tear, electrical or mechanical breakdown and gradual deterioration that will be specifically stated in the policy document. Buildings – the business premises should be insured for the full rebuilding cost (including professional fees and the cost of site clearance) and not just for the market value. You may need expert advice to calculate the rebuilding cost, which often differs significantly from market value. If your business is in leased premises we suggest that you check with the owner that they have adequate insurance provision. Contents – your stock should be insured for its cost price without any addition for profit. Provision can be made for seasonal stock fluctuations. Plant and business equipment can be insured on either a "replacement as new" or an "indemnity" basis. If indemnity is chosen, wear and tear will be taken into account when settling any claims. Contents are usually covered against theft providing there has been forcible and violent entry to or exit from the premises. Damage to the building resulting from theft or attempted theft will also normally be covered. Theft by employees is usually not covered. Goods in transit insurance, covers goods against loss or damage while in your vehicle or when sent by carrier. The sum insured may be a limit for each vehicle or any one consignment. Business interruption insurance will compensate for the short-fall in gross profit together with paying any increased working costs and extra accountants’ fees incurred. When arranging this insurance you will need to estimate the maximum time needed to get your business working normally (known as the Indemnity Period) following the most serious damage. The insurers will ask for an estimate of your anticipated gross profit. Apart from your legal liability, your business should protect against the loss or damage to your vehicles. The following insurances may be provided under a "package" business policy. Separate individual policies can also be issued. Fidelity Guarantee – cover against loss of money or stock arising from dishonesty by your employees. Frozen Food – cover against loss of frozen food in deep-freeze units caused by breakdown or damage to the unit or failure of the electricity supply. Glass – cover for the replacement of glass following malicious or accidental damage. Travel Insurance – individual or group travel insurance policies can be arranged providing cover during business journeys abroad which includes medical and legal expenses, personal accident and loss of baggage. 2. Insurances that cover your business’s legal liabilities in the event of some aspect of your business causing damage or harm to a third party or their property. Apart from Motor and Employers’ Liability insurance you may need to consider insurance cover for Public and Product liability. 3. Insurances that protect both you and your employees against the consequences of serious illness, injury or death, and the effects these events could have on your employees, on their families, and on your business. · Personal accident and sickness insurance - This type of policy pays a regular cash benefit to a person unable to work as a result of an accident or sickness. This is especially valuable if you are self-employed and would have no income if disabled or sick. Personal accident policies are arranged for one year and are renewable at the option of the insurer. If you are sick or injured, regular payments are usually made on a weekly basis up to a maximum number of weeks. There will normally be a deferred period before payments start. A lump sum may also be payable on death or specified disabilities. · Private medical insurance - this designed to cover treatment for curable, short-term illness or injury (commonly known as acute conditions). It provides the reassurance of knowing that treatment is available promptly. This can be particularly valuable to small employers as it enables them to better manage employee absence and illness. Different policies will cover different optional treatments. Private medical insurance is renewable on a yearly basis. · Life insurance - this can provide financial security for employees’ dependants and protect the profitability of the business upon the death of a "key" employee. Group life assurance schemes provide lump sum death benefits for the dependants of employees who die in service. The benefit is usually a multiple of the salary. Life insurance can also protect partnerships so that the future of the business is not put at risk from the withdrawal of the deceased partner’s capital. How do I buy these insurances? Package or combined policies are available, which provide cover against many of the risks described in the previous section in a single policy document. These policies can be tailored to the requirements of your business. Some businesses may find individual policies more appropriate. You may choose to buy your insurance directly from an insurer. What do I need to think about or ask when buying insurance for a business? Insurance documentation - When applying for insurance cover, you may be asked to complete a proposal form giving information to enable the insurers to assess your risk. Details will include name, address and business of the proposer, previous losses, and details of the risk to be insured. When completing the proposal form, it is important that all questions are fully answered and all relevant facts concerning the business are disclosed to the insurer. Failure to disclose all relevant facts fully, whether specifically asked or not, might entitle the insurer to treat the policy as invalid. Before cover is granted, the premises may be surveyed by an insurance surveyor to accurately assess the risk. He will draw attention to any hazardous features and advise on ways to improve the risk. Some improvements may be required before the cover is given. When your proposal is accepted, you will receive a policy document which sets out details of the contract including the scope of the cover and the exclusions and conditions.